There’s an old Hollywood adage that claims Matt Damon, star of The Departed, The Martian and, soon, Jason Bourne, hasn’t starred in a bad movie. But could the Boston actor ever dip his toe into the superhero genre? Now that the industry is indulging in full-blown superhero pandemonium, with shared universes and spinoff movies crowding the release calendar long into 2019, it’s a point of discuss that is never too far from the conversation during press junkets. And sure enough, Damon was recently quizzed about the possibility of starring in a superhero feature by Irish Examiner (per AV Club). To date, Jason Bourne is really the closest Matt Damon has come to assuming the role of a costumed hero, but the actor admitted he is open to the possibility on one condition: if Ben Affleck is behind the lens. Finding the right director is clearly of the utmost importance to Damon, and one need only look to the actor’s commitment to Universal’s Bourne franchise and, in particular, the bond he has forged with filmmaker Paul Greengrass for evidence of that. With this in mind, is it possible that Ben Affleck will court his long-time friend for his hotly-anticipated solo Batman movie? Time will tell. 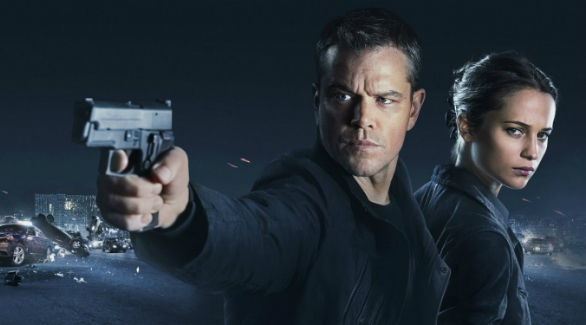 Matt Damon returns as Jason Bourne on July 29 and though Paul Greengrass’ franchise revival is designed to offer a new lease of life to Universal’s dormant actioner, Damon fully expects the title role to be recast further down the line.